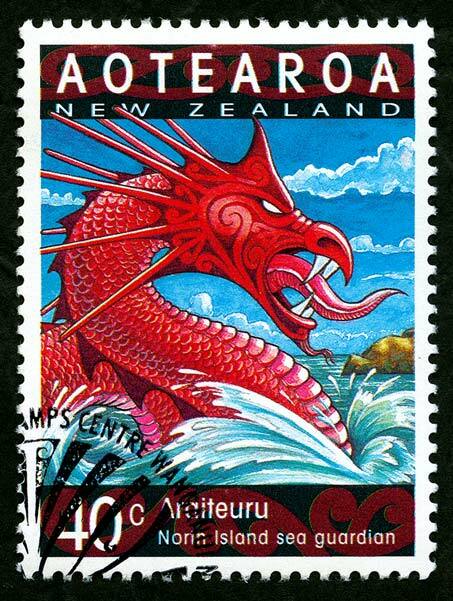 Āraiteuru is the famed taniwha represented on this stamp. She is said to have arrived in New Zealand with the early voyaging canoes, and her 11 sons are credited with creating the various branches of the Hokianga Harbour. well i got this book from a store name guardian of the dead by karen healey and like the book very much and the guy in the book trun to a taniwha. thank you .